This photograph shows inmates Thomas Quigley, 8944, and George Ellis, 7031. 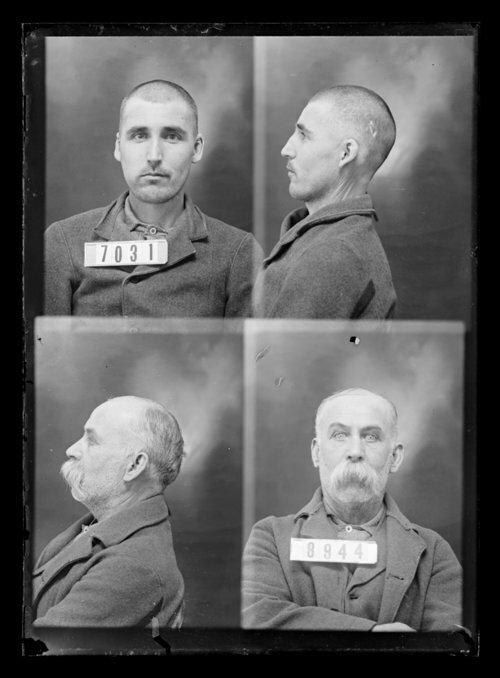 Thomas Quigley was received at the Kansas State Penitentiary on May 20, 1899 from Leavenworth County, Kansas. George Ellis was received at the penitentiary on July 10, 1894 from Miami County, Kansas. Both men were arrested for murder.